Lock in a great price for Klaserie Sands River Camp – rated 9.8 by recent guests! Everything - Location , food , service, passionate enthusiastic guiding. All staff go above and beyond. Amazing sightings during our 4 night stay. 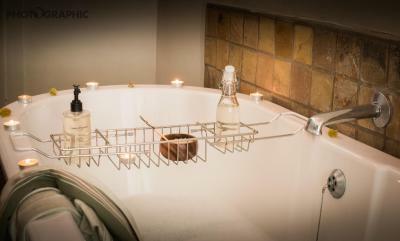 The location was beautiful, we had all the facilities we needed and more, the staff was wonderful. The game drive was mind blowing and both guides we toured with were professional and pleasant. Not one negative thing I can say. We spent three nights and the staff, owners and guides felt like family. So intimate- no more than 9 people can be staying at the camp at any given time. Angy greeted us, served us our meals and was fantastic - so was Flo!! Elly was our guide on safari and was amazing as were our trackers Caswell and Juan. We would come back a million times over if we could. Food was superb!! Everything. Couldn’t have imagined a better experience! 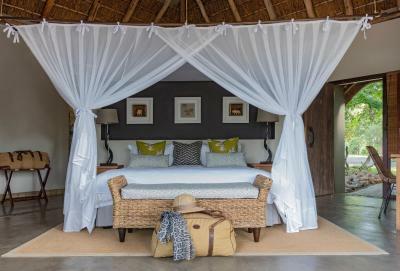 Staff, food & drinks, rooms, common areas, safari drives— everything was simply fantastic. Our hosts were amazing - they couldn’t have done enough for us and the staff were totally wonderful! We are hugely grateful for the way they looked after us. The facilties were superb and the food was plentiful and brilliant. The whole experience in Klaserie Sands River Camp was incredible. The lodge is simply beautiful, clean and perfectly located. The included game drives in the morning and evening were great, we learnt a lot about the wildlife. 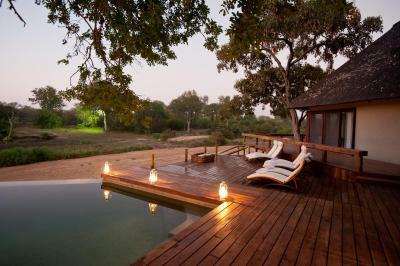 Between the game drives we could relax on the pool and watch passing wild animals from the balcony. The staff was very friendly and the atmosphere was very family like. The food was delicious. We enjoyed every minute of our stay and will definitely come back. Everything was perfect... staff, lodge, game driving... everything, from the beginning to the end... much, much better than expected !!! We genuinely had the time of our lives staying at Klaserie Sands - it met, and then far exceeded, all of our expectations. The lodge is stunning, food is delicious (courtesy of chef Stephen), and all the staff are so welcoming and passionate. Huge shout out to our three Safari legends Francois, Elly and Cazi for making every second of our game drives fun, exciting, exhilarating and unforgettable- the most enthusiastic and dedicated guides who went out of their way to show us the best wildlife sightings on offer. 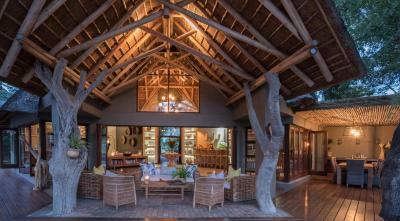 We had some incredible viewings including the big 5 and much more. Never been so sad to leave a property. A very warm and welcoming feeling in the bush with super friendly staff and hosts. For us it was a stay to remember! What an amazing place, I would call it a piece of heaven on earth. From the moment we arrived to the time we checked out, we felt like we were part of the Klaserie Sands River Camp family. 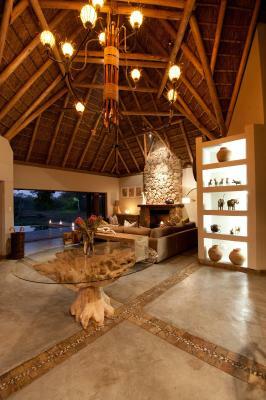 Located in the beautiful Klaserie reserve, the game viewing is fantastic though not easy in the dense bush. Our game drives with Kevin were absolutely fantastic, he tracked an Impala that was dragged up a tree by a leopard! Fascinating to watch the leopard and also other big 5 animals up close. Loved the sundowners in the bush. 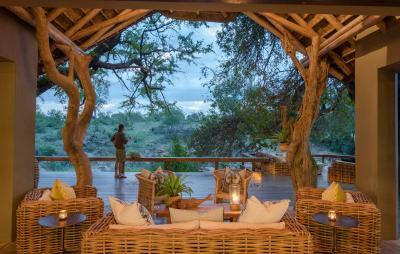 The lodge itself is stunning, it has a beautiful wooden deck overlooking a watering hole which was visited by an Elephant during our short stay. The staff are top notch, very warm and welcoming and they make all the difference! Fantastic food throughout. We loved every moment spent here and would highly recommend it to anyone visiting the area. 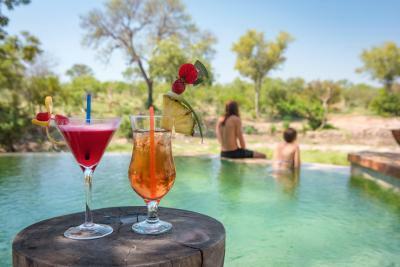 With river views, Klaserie Sands River Camp is located in Klaserie Private Nature Reserve and has free WiFi. 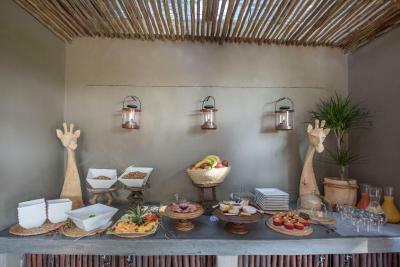 A continental, buffet or Full English/Irish breakfast is available daily at the property. 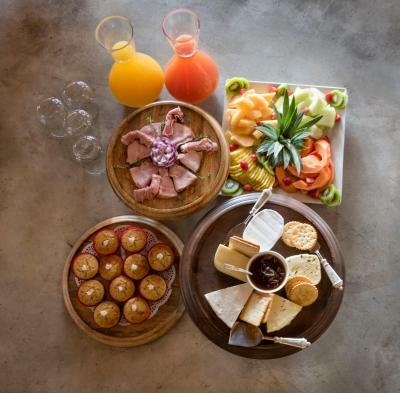 The restaurant at the lodge specializes in African cuisine. 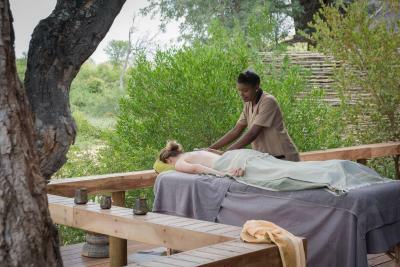 Thornybush Game Reserve is 25 miles from Klaserie Sands River Camp. The nearest airport is Air Force Base Hoedspruit Airport, 38 miles from the property. This property also has one of the top-rated locations in Klaserie Private Nature Reserve! Guests are happier about it compared to other properties in the area. 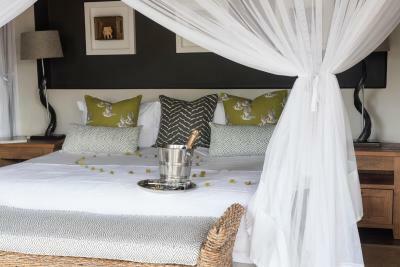 When would you like to stay at Klaserie Sands River Camp? 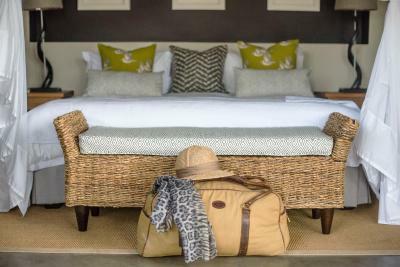 The Superior King Room overlooks the African bush and riverbed and features a private entrance, a patio deck with seating, an outdoor shower and private bathroom. This family room has a seating area, patio and private entrance. This twin room has a patio, seating area and private entrance. 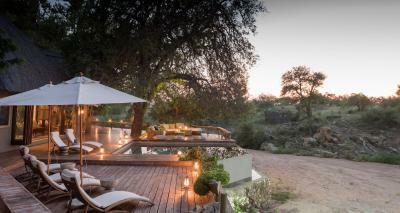 Klaserie Sands River Camp is nestled between lofty Jackalberry and Leadwood trees on the banks of the Ntsiri River in the Klaserie Private Nature Reserve, an open system to the Greater Kruger National Park. 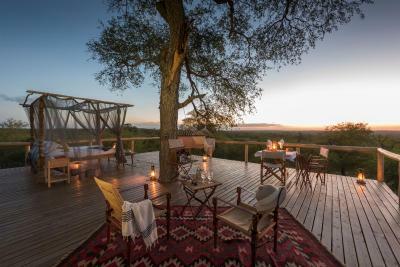 Privately owned and intimately managed, Klaserie Sands River Camp is an understated, simple yet beautiful camp, immersed in the African bush. Overlooking a watering hole, frequented by game, Klaserie Sands allows you to get close to nature, while offering unrivalled privacy in comfortable and elegantly decorated interiors, refined African cuisine and hand selected wines from boutique estates throughout South Africa. Rediscover the African Wilderness with our highly qualified and experienced guides, on daily game drives and a more intimate experience with nature, on our guided bush walks, learning about the tracks, sights and sounds of our fauna and flora, with a key focus on conservation and ensuring a low impact on our environment. 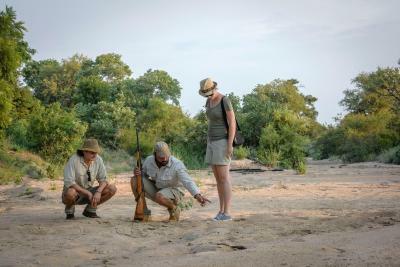 With passion, the Klaserie Sands River Camp family strive to ensure that every guest depart from this special piece of Africa with treasured memories that last a lifetime. House Rules Klaserie Sands River Camp takes special requests – add in the next step! Klaserie Sands River Camp accepts these cards and reserves the right to temporarily hold an amount prior to arrival. Please inform Klaserie Sands River Camp of your expected arrival time in advance. You can use the Special Requests box when booking, or contact the property directly using the contact details in your confirmation. Nothing we would change it was great. It was sad to leave. WiFi is rather weak but if you are on holidays you don’t need it anyways! Amazing bush camp, very personal and private and relaxing atmosphere, extremely nice and friendly staff. Great game drives. Beautiful views into the bush. Absolut advantage is that max of 10 people stay in the lodge. Wonderful architecture and interior design. Excellent service and delicious meals. Will definitely come back. Det var helt fantastiskt!! En vistelse vi aldrig glömmer! Thank you so much for everything! Chris was a outstanding ranger! The food was excellent! The service and the staff could not be better! We watched leopards, hippos, lions, elephants, hyenas, wilddogs fighting with a hyena and much more! We would love to come back! Viveka and Bertil! 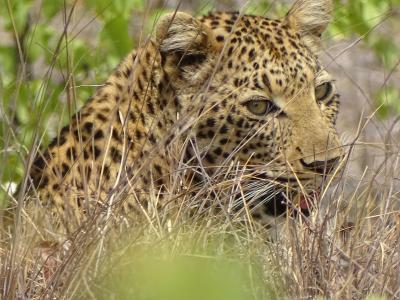 A wonderful experience, great game drives plenty to see, including some out of the ordinary sightings in the evenings. Fantastic guides and tracker. Food was excellent and the staff so friendly so much want to return.